The Maidenhead United FC Community Trust has been awarded a grant of £20,000 by the National League Trust in support of their Magpies in the Community programme. A programme of regular community coaching activities including schools coaching; walking football, autism friendly football and youth football for hard to reach groups. Free match day experiences for local junior teams and disadvantaged community groups. “Meet & Greet” events with the first team. Health/wellbeing focussed events/activities incorporating sports/physical activity taster sessions for participants. Yorkie the Magpie and the Community Team participating in community events (summer fayres/carnivals etc.) to promote the Magpies in the Community programme. The promotion of volunteering opportunities within local football, incorporating the provision of mentoring support and training for new volunteers. 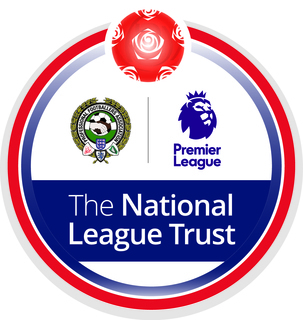 The National League Trust is a partnership between the National League, the Premier League and the Professional Footballers’ Association (PFA). The Premier League and the PFA have each committed to support the Trust until 2019. They will each contribute to a donation of £1.2m a year over this period. This allows the Trust to help National League member clubs develop their community programmes.